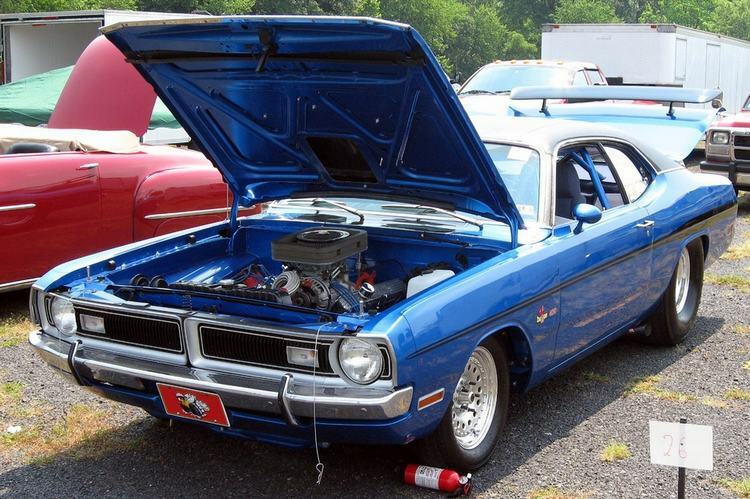 Additional Info: The Dodge Dart was first introduced in 1963, but a new model was added called the Demon in 1971. 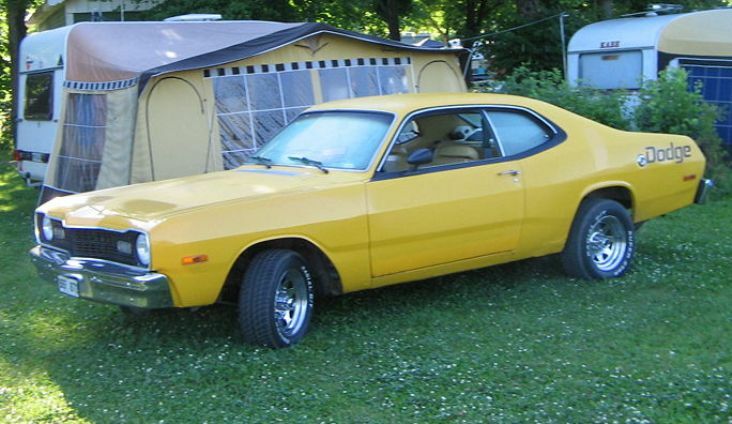 The Demon had a completely different look over the old style 2 door hardtops and 4 door saloons and was very closely related to the Plymouth Duster. 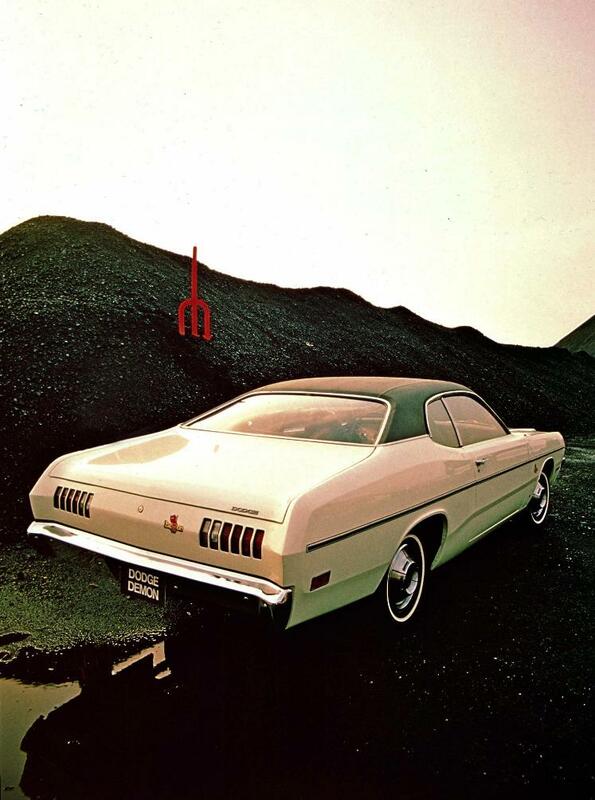 The Demon 340 was the top model Demon and came with a 3 speed or a four on the floor manual with Hurst shifter or even a TorqueFlite auto. 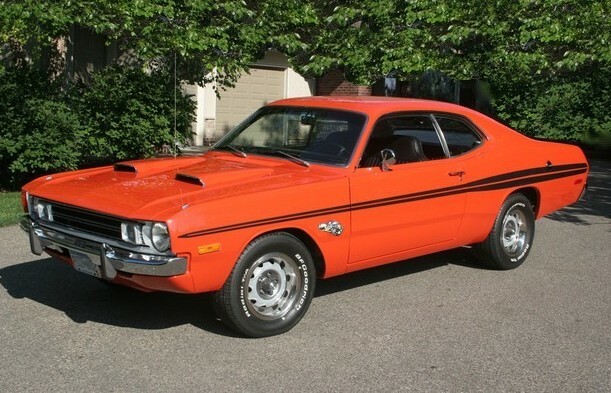 A 0-60 time of 7.8 secs was recorded for an automatic 340 by “Road Test”, seemingly much slower than it’s cousin the Plymouth Duster 340. 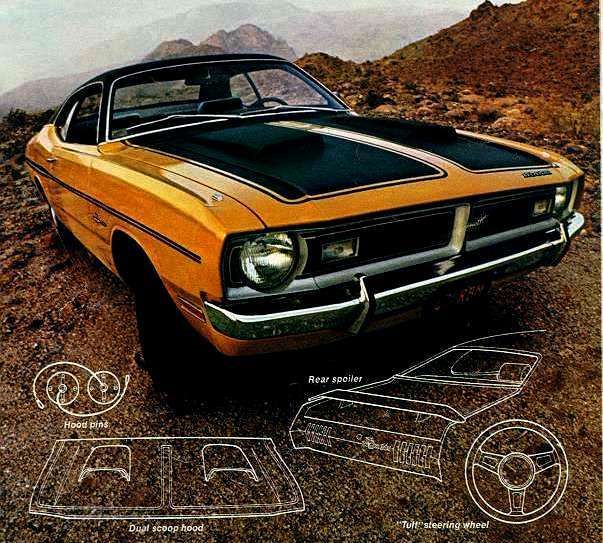 The base model had a 100bhp 198cu 6 cylinder engine (110bhp 225cu optional) and a Demon Sizzler added bits of the 340’s trim and looks to the base model. Also a 150bhp 318cu V8 was made available. 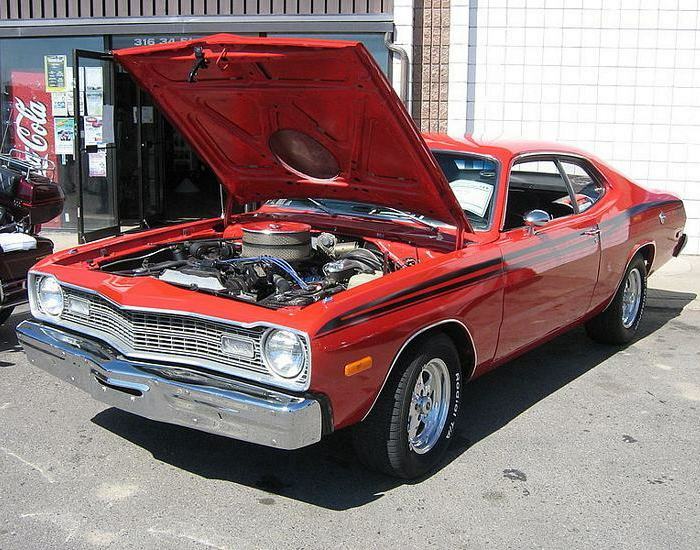 In 1972 the power was now rated in net horespower, putting the 340 at 240bhp. 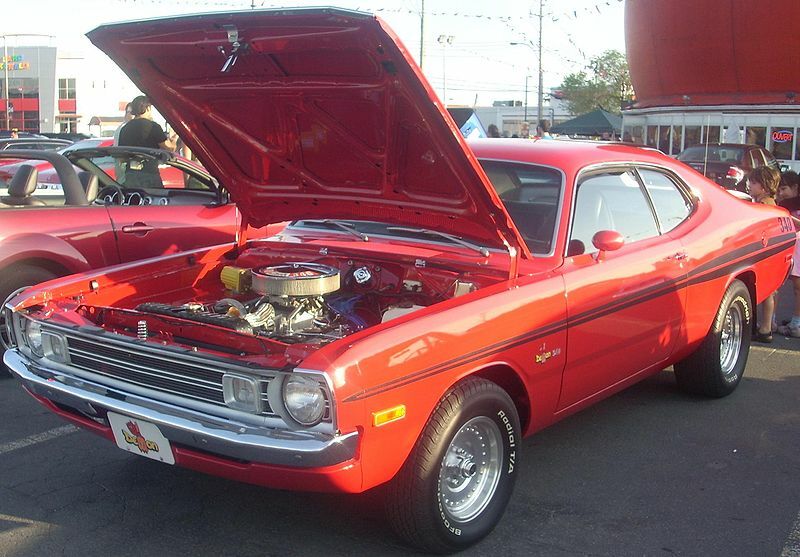 In 1973 due to pressures from some religious sectors the Dodge Dart Demon was renamed the Dodge Dart Sport. In 1974 a more eco friendly 245bhp 360cu engine replaced the 340. In 1975 more emissions was added to the 360cu, now rated at 230bhp and again in 1976 making only 220bhp for it’s final year.